romantic suspense, and it's a must-read!" Not only is it Friday, it's both my son's birthday (17! How is that possible?) and my latest book's birthday! 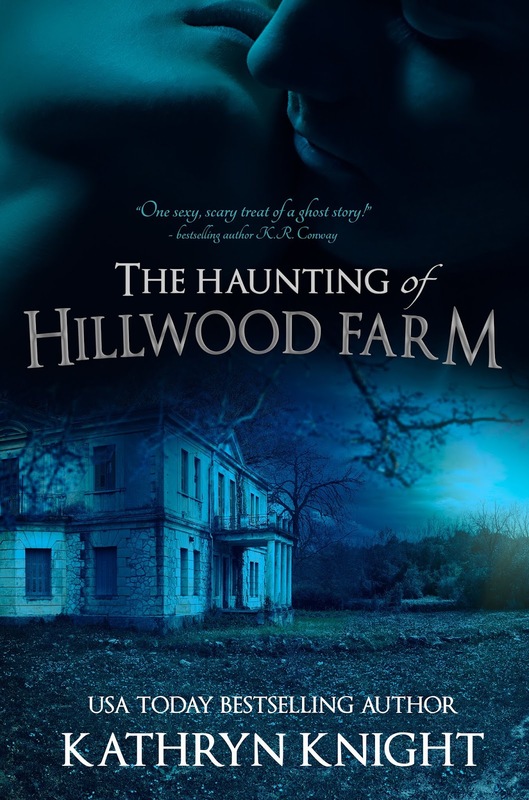 The Haunting of Hillwood Farm is now available on Kindle and in print! This title initially released as part of the USA TODAY Bestselling Love Under Fire Box Set, which was a limited edition and is no longer available. 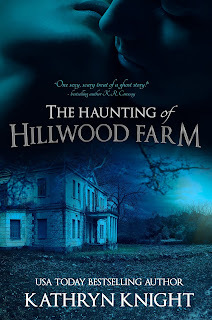 Now that the rights have reverted, The Haunting of Hillwood Farm is available on it's own...and for anyone who likes ghost mysteries, this should be a good fit! In fact, the prolific review site N.N. Light's Book Heaven reviewed this title in November, giving it 5+ stars and ultimately choosing it as Best Romantic Suspense of 2018! Check out the blurb below along with two short excerpts...one spooky, one a little steamy. Now...I'm off to bake a cake (for the kid, not the book)...someone alert the fire dept., I write much better than I bake! With a sharp pop, the light went out, plunging the room into darkness. Callie stilled, her heartbeat filling her ears. Something rustled behind her, and the hairs on her bare arms prickled. She was suddenly very sure she was not alone. A soft moan floated through the blackness. Panic gripped her, fierce and primal, clawing at her lungs. Did she have a weapon? Would it even work against whatever was here? She struggled for air, a rancid odor filling her nostrils as she slowly inhaled. Death. Decay. Shadows shifted to her left, and her gaze jerked toward the movement. Behind the solid mass of her reflection in the mirror, the gauzy outline of a face peered over her shoulder. Empty eye sockets stared out from gray, filmy features, the hollow black holes somehow filled with menace. A sob gathered in her chest, clogging her throat. Please, God. Let me wake up from this nightmare. Something cold and wet brushed against her upper back, and she screamed. When she turned around, Luke was standing in the doorway. Her pulse jumped. She’d forgotten to close the door. One of the hazards of living alone for so long. “Well, you never know in this house, right?” She shrugged, and the twist in her towel loosened. Clutching it to her chest, she managed a weak smile as she fumbled to secure it. She could feel the weight of his stare even as she bent her head to check the new knot, and warmth pooled in her belly. She glanced up, and their gazes locked. The air crackled as the moment stretched out, and she recognized something in the depths of his eyes. Hunger. Could he see the same thing reflected back in hers? Her breath caught, and she took an involuntary step toward him, as if drawn by a magnetic force. Every nerve in her body tingled with desire. My favorite way to de-stress - treat yourself!